Walk in and play anytime during normal mixed-play hours! We have everything you will need! Simply show up anytime during open hours and get ready to play! Mix in with the crowd and play! Players will be separated into groups based on their age and skill level. Want to guarantee gear and space? Book online now fast and easy! Let us know you’re coming to play! 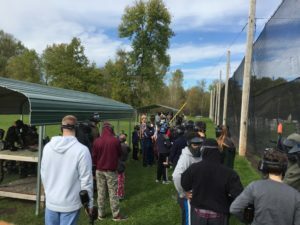 We are the #1 paintball destination in MN! 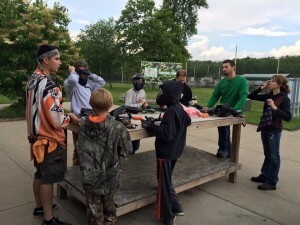 Our 80 acre paintball park is perfect for any size party in MN. 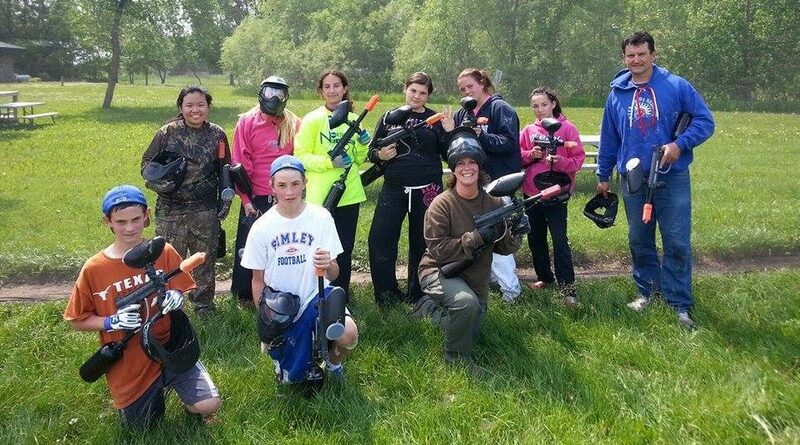 If you have any questions about paintball outings, paintball events or more information please feel free to give us a call at 952-492-6776. 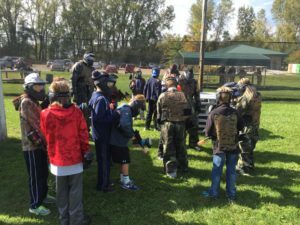 Upon arriving at our outdoor paintball park, players will be checked in and then receive a full safety and game rule presentation. You will then be split into teams based on age and skill level by our staff. Teams will play a game, switch sides and play again. After the rounds are played, players will exit the field, get cleaned up, reload if necessary, relax or grab a refreshment and get back in rotation for another match. Players are grouped by party, age and experience. 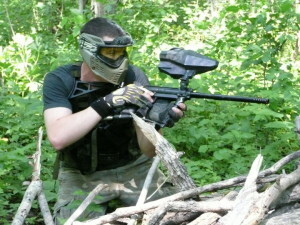 We focus on making paintball fun so only beginner players will play with other new players. Don’t worry, advanced players with their own gear will not be allowed to play with new players. There is no time limit! Players may stay as long as they would like during our open hours. The average player stays at our facility for approximately 2 hours. Of course! Family and friends may watch game play from the sidelines behind safety netting. Groups may also use picnic and pavilion areas. We do not allow players that rent equipment (.50 caliber) to play against players with their own gear (.68 caliber). If you would like to use your own gear check out our Gun Owner Hours for times to shoot against other paintball enthusiasts.